#10-24 x 5/8 Coarse (USS) Hex Head Machine Screws are made of zinc-plated steel which allows for a moderate amount of corrosion resistance. Hex head screws allow for more torque to be applied to the screw with a socket wrench. 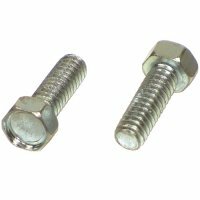 Machine screws are most often used with a nut as a means of tightening unless they have a pre-threaded hole with the exact thread pitch. These screws are most commonly offered in smaller sizes. 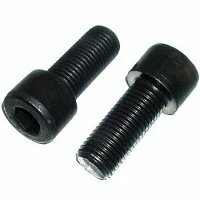 Other types of machine screws sold at NutsandBolts.com are: phillips flat head machine screws, stainless steel flat head machine screws and phillips flat head tapping screws.